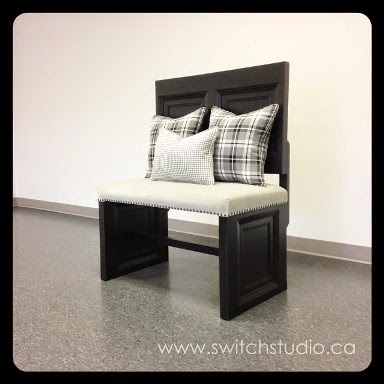 Staci Edwards at Switch Studio used an old door to create this awesome piece of furniture. What a lovely idea! The bench looks really stylish and neat: I love the minimal feel, yet the cozy atmosphere it creates! It doesn't look like huge work too! Another proof that stylish home doesn't need to cost a fortune! A special thanks goes to Wayne for sharing this awesome project (and many more!) with me! 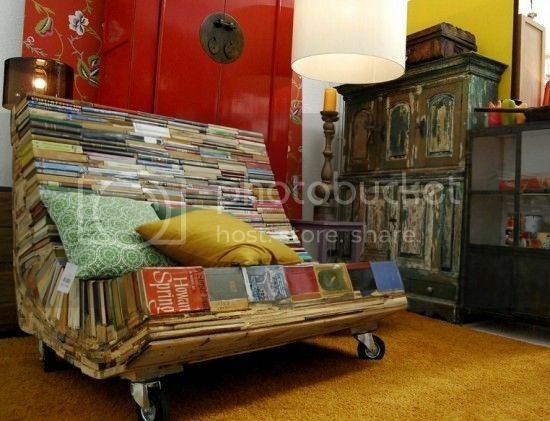 Upcycle Books into Book Couch! The other day I was in my garage and I realized something: we have way too many tires. Living where we do, we end up driving into the mountains a great deal, or further south and into the dessert. Both types of terrain can be rough on rubber, and we go through a full set of tires once a year. For a long time we just threw the old ones out, but now we have been patching and reusing them instead of purchasing new ones. Obviously, this is better than tossing them both environmentally and economically. But we still have more than we need, and I had no idea what to do with them. Sell them? Give them away? 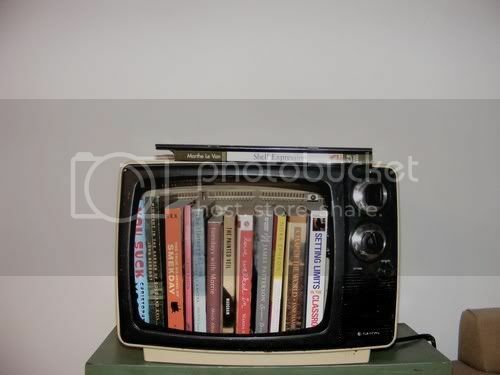 That is when my Pinterest instinct kicked in and I knew I had to see if I could find some good upcycling projects for them. These are the ten coolest I found. There are a lot of cribs out there these days that act as a full sleep system. They go from a crib to a toddler bed, and sometimes even to a base for a full twin later on. But not all of them do this, or live long enough to make it into all three incarnations. I know both of my kids brother their cribs long before they could become even a toddler bed. Which should tell you something about my children. For those leftover pieces, you might not know what to do with them. If the crib is intact you can always try and sell it, or maybe offer it in freecycle. 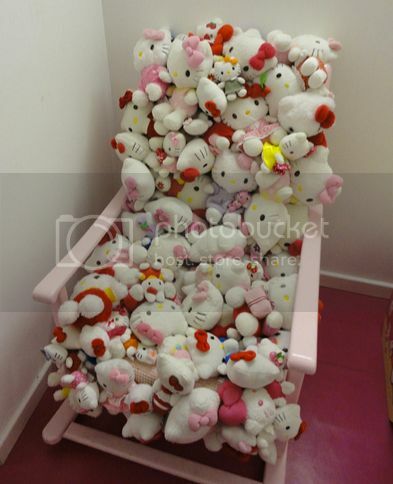 But most are leery about taking a used crib, especially with all the recalls to hit the baby industry in recent years. You may not have as much success as you hope for. Instead, why not get creative? Pinterest, home of all things DIY, has a ton of awesome ideas for upcycling cribs. 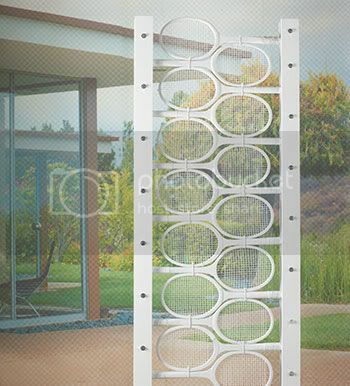 Stylish, interesting and functional additions to your home are just a project away. 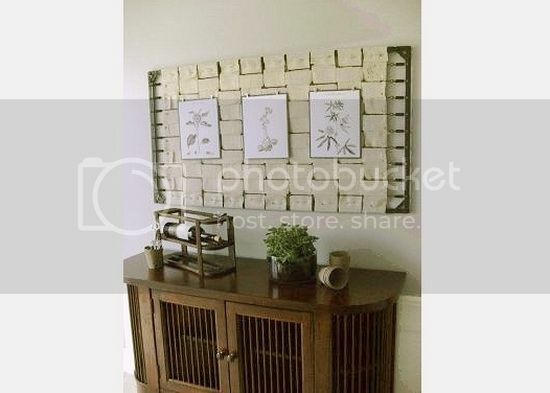 You could do a lot with this idea, because it is entirely based around your personal tastes for decor and art. I like the concept of converting the grip springs into a canvas board, because it is light weight and yet would easily hold different items. You could probably come up with some other ways based on this principle. 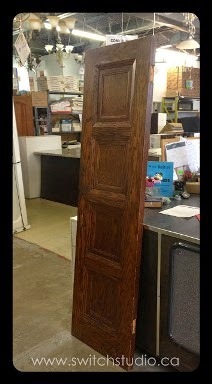 Some DIY projects are fun and beautiful, others are useful and simply genius - this is is both. Surely, it all comes to implementation - would be able to make the thing as aesthetic? But the idea is surely a cool one! I have no idea how solid and reliable the construction is - the good news is that it's a designer thing but you can try making it at home. There's no an instruction but I don't think it is too hard to construct. 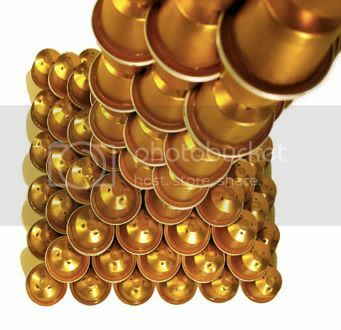 Just glue the nespresso containers in a stand! 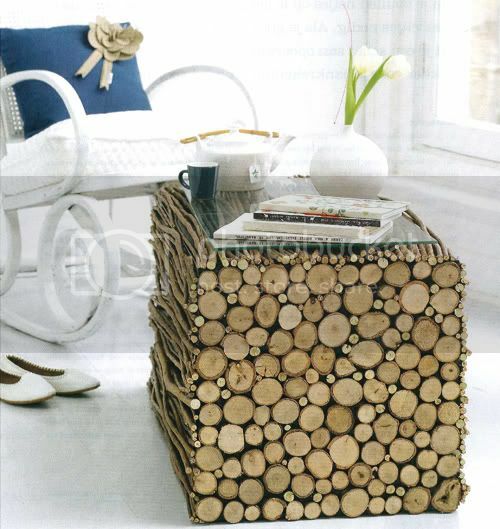 This cool table made of birch logs could fit any interior! Besides, it looks like it it not too hard to make it at home. Car and bike tires appear to be the easiest to recycle. 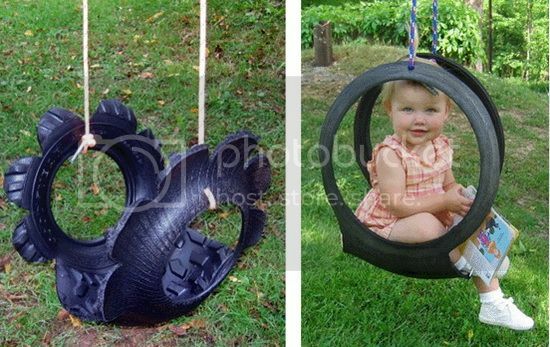 There are tons of things that can be created from tires. Today' DIY project is the best proof for that: tire furniture looks like it is convenient, stylish and usable - what a great combination! Do you like drinking through a straw? You don't need to throw those used straws to trash. Because you can make plenty of cool things using them! 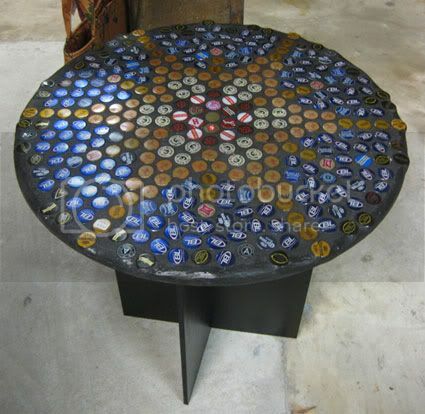 We've seen a few cool gadgets for beer lovers: beer bottles chair and beer bottle coffee table (with them drinking beer is even more fun!). Today's project is one of the coolest (may I say even stylish). This also will be a great motivation for you to try different beer manufactures: this way the caps will be different and your table will be even cooler! 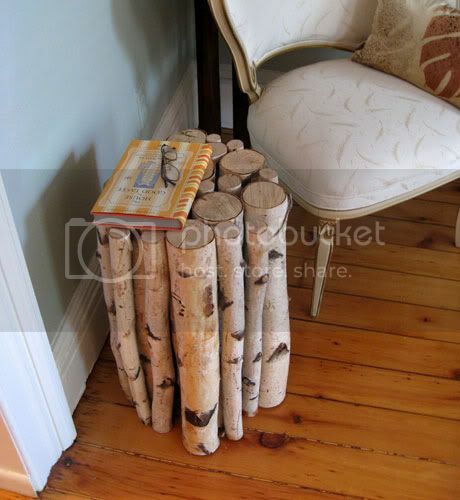 The concept covered in this DIY project is similar to the one we already shared here: a magazine rack. 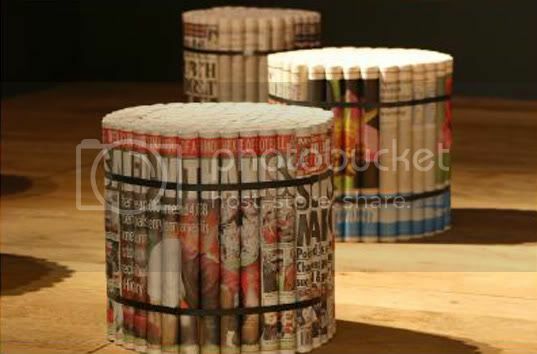 These stools are no more than just tightly rolled newspapers but surprisingly they do look cool! 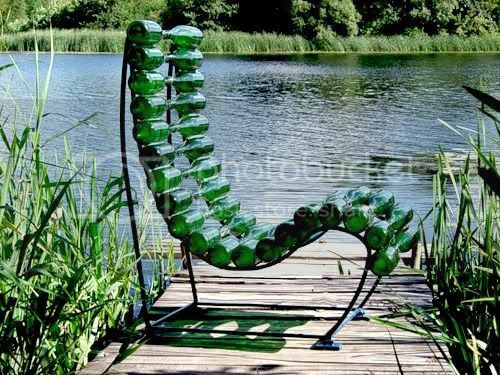 I am honestly not sure how if this chair is comfortable or solid enough but its other benefits are obvious: (1) it must have a relaxing messaging effect (just like plastic bottle chair and tennis ball chair we've seen before) and (2) it is sure to appeal to your friends who come to visit! The detailed tutorial will guide you through the building process. 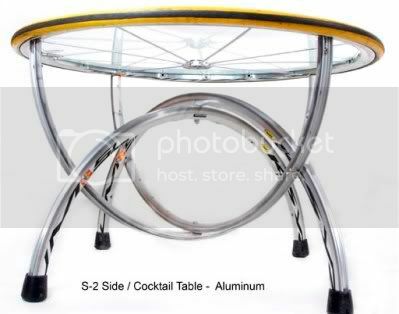 Bicycle Furniture - Create Your Own Designs! 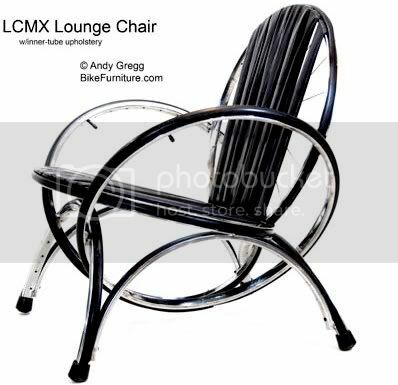 These bike furniture designs can be used as a basis to create your own. Or you can brainstorm something completely new. So use them as the direction, not even as a sample! Here's a new (awesome!) 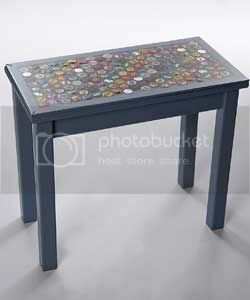 way to put beer bottle caps collection to good use: make a cool bottle-cap table surface using al of them. 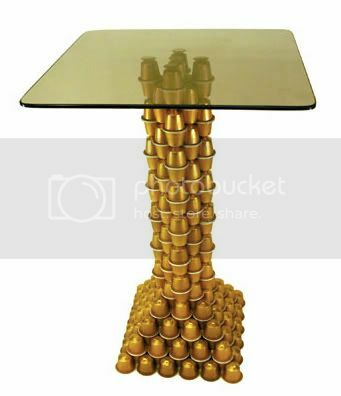 You will need about 160 lids for a not very big table. The core process is about gluing each cap to a surface and then pouring epoxy. I applied a model-making super-glue to the edges of the caps, pressed them in, and waited a few hours for the stuff to dry. Paint (optional): $4 for 8 oz. A washing machine has a stainless drum which you don't want to throw away after your machine is hopelessly broken. 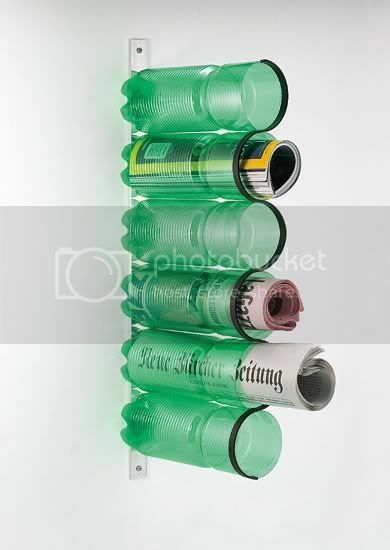 Instead, that's a really handy gadget that can be recycled in multiple ways. 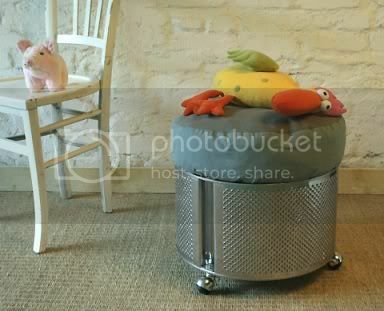 This tutorial will show you how to recycle a washing machine drum into a cool pouf that has wheels and a lid. 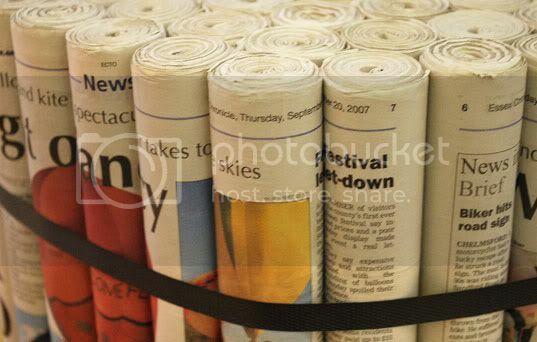 This drum can be used as a toy chest in a child's bedroom, or to store blankets and cushions in the living room. You can also use it in the bathroom as a comfortable, crafty clothes hamper. 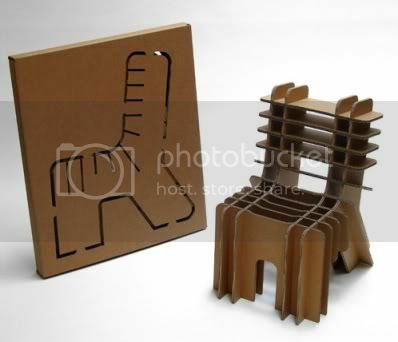 ApartDesign.nl is selling a chair made of cardboard. 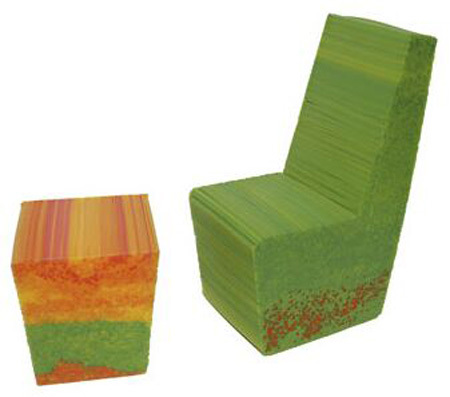 This way it is both a chair and a packaging in one! The good news is that it can be easily made at home: there is no need to buy it. Just buy 9 sheets of strong cardboard and you are done! 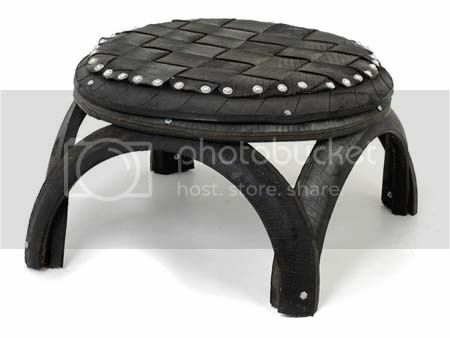 Note: here's also cardboard stool if you are interested.